SAN FRANCISCO, CA - Feb. 11, 2017. 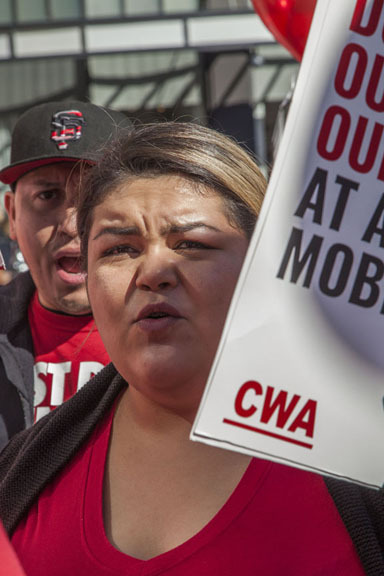 Workers at AT&T Mobility protest the unwillingness of the company to agree to a new union contract. 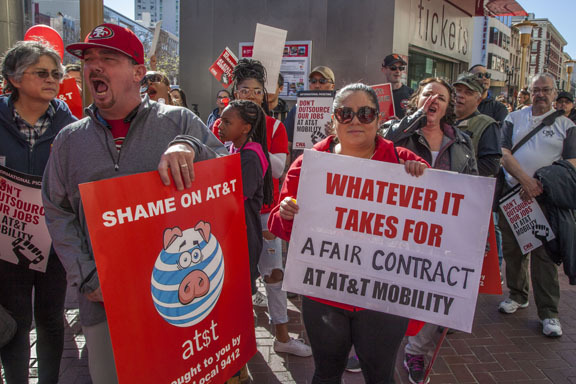 Members of Communications Workers of America held picket signs, marched and rallied in front of the AT&T Mobility office at the Powell Street cable car turnaround, one of the company's largest consumer offices, in one of the busiest tourist destinations in San Francisco. Photo copyright David bacon. 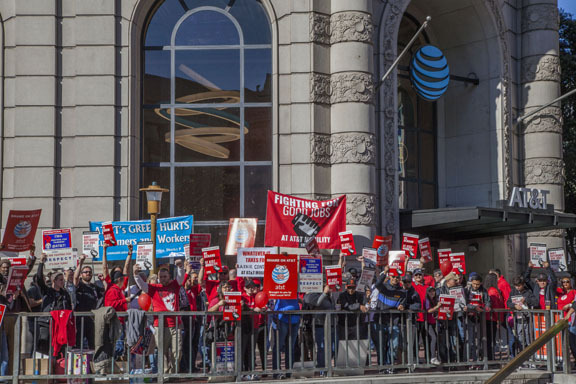 Concerns regarding proper training and work assignments for the region’s 17,000 AT&T technicians and call center staff triggered the brief strike, and both sides reached a swift agreement, averting a longer strike — at least for now. 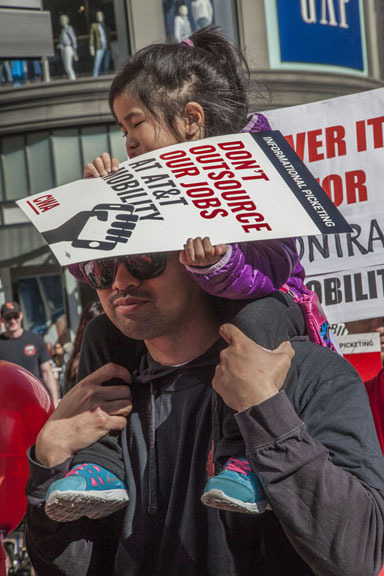 Union representatives said “the company will no longer require technicians to perform work assignments outside of their expertise and classification,” the East Bay Times reported. But a year after the previous contract expired, bargaining continues towards reaching a new contract with AT&T. More than two thousand DIRECTV satellite and warehouse workers are also negotiating for their first contract. A march and rally in support of AT&T employees is being planned for April 9 at noon in San Jose. More info about the march and rally is at the CWA District 9 website. 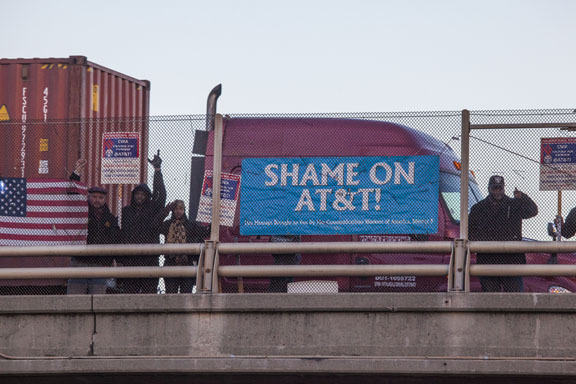 Click on any photo below to view images from recent AT&T protests as a slideshow. All images copyright David Bacon.